Why is software testing important? Testing is all about to check the product quality using various test cases implemented by manually or automatic. A tester who gives the assurance of the quality product to the end user. A broadly minded thinker having a huge amount of abilities to think beyond the limits could be your Quality Assurance or Software Tester. A role of the software tester is very very crucial for the other area of development either website or application development. A tester surely gives the assurance to the end user for completely once he/she has all the information related to the project. A bug-free application is the main reason to implement the software testing. For the compatibility checking the software tester importance indeed. Customers have benefits when software tester comes across in a role to put himself in the state of test and surfing through any website on mobile phones or tablets. Developers responsibilities increase at the end to satisfy the customers by developing the responsive web application. A little bug can create a big problem that hackers can steal the private data and this can’t be tolerable. What is the need to do software testing? Quality Assurance or Software Testing is crucial because it identifies errors/bugs from a system at the beginning. By considering the problems in the base helps to turn improvement in the quality of product and brings confidence in it. By beginning means where it comes feasible and able to resolve the existing bugs. For the sure and get a perfect idea to test the application it is better to split the testing parameter so that software testing types may help QA to go through. Functional testing and non- functional testing are the two kinds of testing performed by the QA or Software Tester. Types of software testing are the key role where the tester determine the right testing for the apps. The functional testing focuses on manual as well as automation testing. A functional testing is a bunch of various types to execute the perfect product. Unit Testing allows your find more bugs at code level or more refined class level. Whatever you are developing Unit testing applies there, be it a web application or mobile app development. It is a concept that is up to the discretion of the team whether to use it or not. In integration testing, every element is treated as an atomic unit or as a black-box, at the same time the interconnections among them are checked and modeled to conduct software testing of component interfaces and interplays. Verify that communication between the systems are done correctly if all supported hardware/software has been tested. If all linked documents are supported/opened on all platforms the security requirements or encryption while communication happens between systems. Check if a Solution can handle network failures between a Web site and application server. System testing is the testing of a complete and fully integrated software product. System testing simulates real life scenarios that occur in a simulated real life test environment. It tests all the functions of the system. Regression testing is a crucial stage for the product & very useful for the developers to identify the stability of the product with the changing requirements. User Acceptance Testing which means agreement or approval. It is used to ensure that the software is satisfying the functional and performance requirement of the end user. There are a bunch of software testing types which differentiate the job work for the QA while testing the apps. It is a testing to determine the performance of the system to major the measure, validate or verify quality attribute of the system. Documentation testing helps to estimate testing efforts required and test coverage. Software documentation includes test plan, test cases, and requirements section. Installation testing is a type of quality assurance work in the software industry that converges on what customers will need to do to install and set up the new software successfully. The testing process may involve full, partial or upgrades install/uninstall processes. Performance testing includes Load testing, scalability testing, volume testing, stress testing. iMOBDEV have the best Quality Assurance as well as Software tester team who provide performance testing on such amazing projects like on-demand service provider mobile app SAEVER. Load testing is performance testing technique using the same you can response the system to measure under various load conditions. Stress testing means to check the stability of software when hardware resources are not enough like CPU, disk space. Scalability testing is the testing of an application to determine its capability to scale up non-functional capabilities like user load supported, a number of transactions and data volume. Volume testing is non-functional testing which refers to testing a software application with a large amount of data to be processed to check the efficiency of the application. Reliability testing assures that the product is fault free and is reliable for its intended purpose. It is about exercising an application so that failures are discovered before the system deployed. Security word itself defines that something has to relate with technique to strengthen the security. It’s not about securing data and information. It can affect to whole functionality of the system. Security testing is a variant of software testing which ensures that system and applications in an organization are free from loopholes. Security testing is about to find all possible weaknesses of the system which might result in a loss of information at the hands of the employees. So we have discussed the software testing types in both categories functional and non-functional. Apache JMeter is a famous open source performance testing tool. It is pure java desktop application with look and feel of a web browser. It is not just free, but also open to modifying and customized as required. Appium is an open source tool for automating mobile applications which can be Native, Hybrid, and the Web. An Appium has specifically designed for mobile only. Selenium has not made for the same. A cross-platform enables you a large amount of code reuse between iOS and Android test suites. iMOBDEV Technologies have promising leading mobile app development company located in India & USA. iMOBDEV have specific categories for Software Testing to deliver the right product to right users. 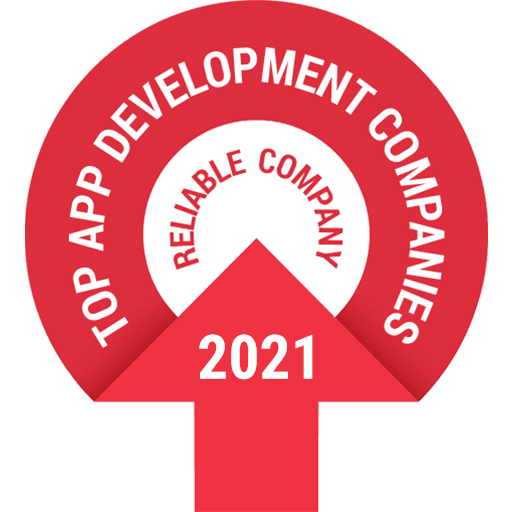 We have a very sharpened bug finder team known as quality assurance who constantly aware developers to execute the best one in apps. I think you have delight with the idea of software testing and the purpose of the same. Why software testing is important? The software testing types are mentioned here which beneficial for the software development companies and developers. Mr. Chirag Patel is QA since a long time at iMOBDEV Technologies having deep insight for the software testing. He inherits the grasping capabilities by learning new techniques from his jolly nature and understanding technology very deeply. Such a useful information. The beginning career of a QA will be more decorated with this article information. Great post, I appreciate all the work you put into this site, helping out others with your fun and creative works. This is really a nice and informative, containing all information and also has a great impact on the new technology. Thanks for sharing it. it’s really cool blog. Linking is very useful thing.you have really helped. great blog post…This software Testing is important useful for me.complete guidance mentioned in it. thank you for sharing with us. Thanks for sharing this kind of useful posts. Very informative to the beginners. Nowadays more job opportunities are there for software development and software testing. So achieving training for software testing is not a wastage of time. I read your full blog and it was very informative, and helped me a lot. I always look for blog like this on the internet with which I can enhance my skills. Great Article! This software Testing blog is very useful for me. I got useful information from this blog. Thanks for sharing this blog with us on software testing! Your post is very organized way and easy understandable.perfect explanation about types of software testing. I am bit confused about testing types but after reading article I have clear idea about it. Keep sharing more on testing. Well thanks for writing blog on Software testing..!! As a engineer it really helped me to know about it.Keep updating us with your wonderful blog.!! Well done! It is so well written & informative. Keep writing such brilliant piece of work. Glad I came across this post. Thanks for for the great information regarding software testing types. Good one, keep sharing.